We could not be happier with the outcome of this primary cross. 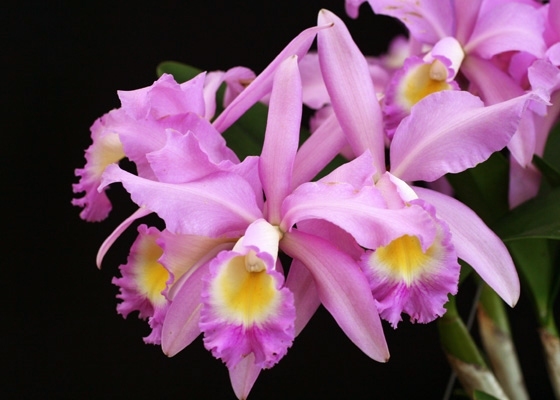 These plants received a good shot of the charming flower shape of their Cattleya gaskelliana parent, and also its more modest growth habit. 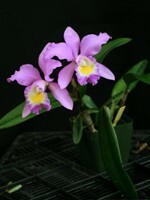 They gained temperature tolerance and a free-flowering character from their Cattleya loddigesii parent. Those which we have mounted to cork have also done very well. The flowers open a pale pink and then darken in color with maturity.Temperature Tolerant. September blooming.